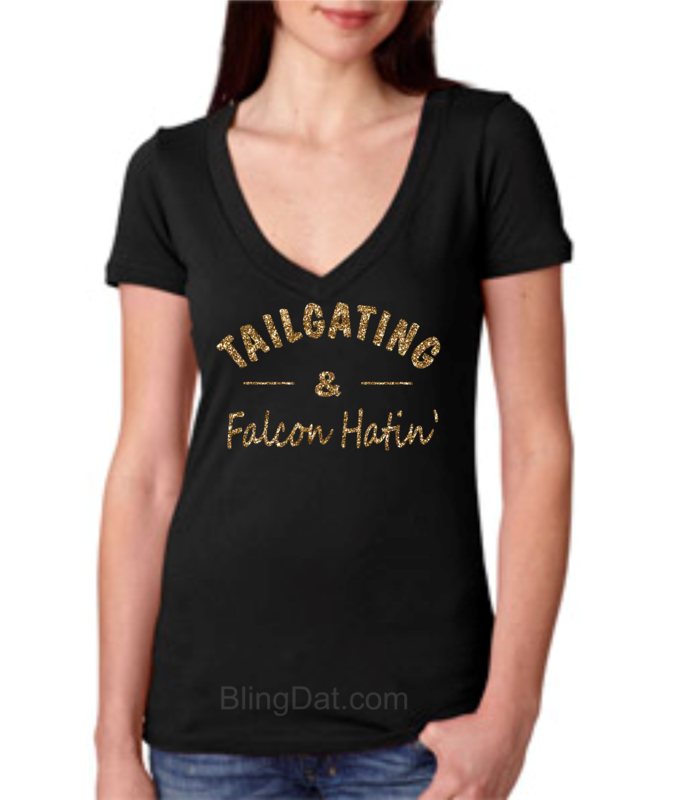 Black short sleeve v-neck with gold glitter or print. These shirts run true to size. The S-XXL are slightly form fitting, 1X-3X are relaxed fit.